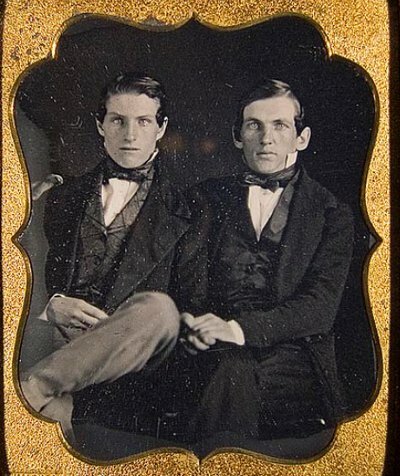 There was a fairly open gay culture in Manhattan in the last decades of the 19th century, including private clubs where men could openly solicit the company of other men. A 2012 weblog post at The Art of Manliness provides some wonderful images from that time and place. 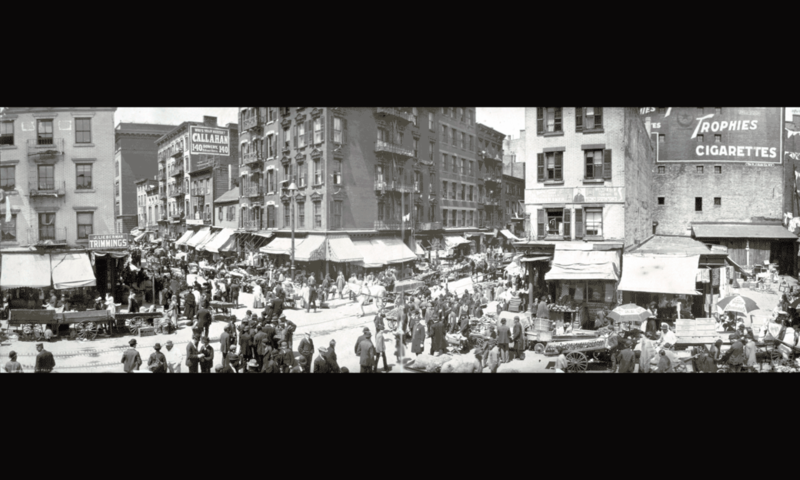 George Chauncey’s 1995 Gay New York: Gender, Urban Culture, and the Making of the Gay Male World, 1890-1940 is an excellent source of information. 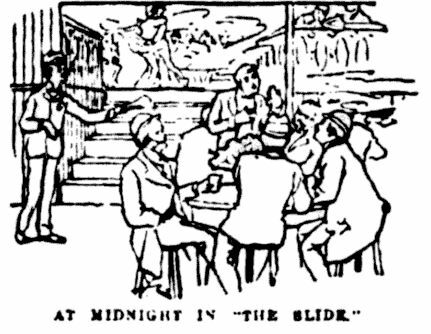 Moreover, the record of another man’s conversation with a “degenerate type” at the Slide also indicates that the men who were made part of the spectacle at such resorts nonetheless managed to turn them into something of a haven, where they could gather and find support. Charles Nesbitt, a medical student from North Carolina who visited the city around 1890, took the slummer’s tour with a friend. As he later recalled, he visited several beer gardens on the Bowery where “male perverts, dressed in elaborate feminine evening costumes, ‘sat for company’ and received a commission on all the drinks served by the house to them and their customers.” Such men dressed in male attire at the Slide, he discovered, but still sat for company as their transvestite counterparts did elsewhere. Intrigued, Nesbitt asked one of the men, known as “Princess Toto,” tO’join his table; to his surprise, he found the fellow “unusually intelligent” and sophisticated. Princess Toto, he quickly decided, was “the social queen of this group” and “had pretty clear cut ideas about his own mental state and that of his fellows.” Nature had made him this way, Toto assured the young medical student, and there were many men such as he. The Bowery Boys. June 15, 2015, reprinted from the 2015 NYC Pride Guide.